The staff are so helpful. You won't have to worry about a thing! I chose this hotel due to proximity to my work place. Clean bathroom and helpfull staff are plus. Please keep the breakfast area a bit cleaner. Overall a reasonable experience. The shower head holder was falling out of the wall and the bath drain was pretty slow. There were quite a few mosquitoes and the Air Conditioner had a hard time keeping up with the power off so much in Yangon. However, for the price it was decent. A one night stay. It was supposed to be an airport hotel but was quite far from the Airport. The staff who was supposed to pick me up at the airport was late and I had to get a taxi. The take away breakfast was very basic. About 20mins to the airport. The room is clean, the breakfast is good, but the electricity is not that steady, it would be better to have a mosguito net in the room. We enjoyed our stay at Hotel June. It should be noted they charge per person, not the typical pricing per room. But the staff was helpful and very friendly. Our stay was intended as an overnight for a layover so was brief. It is not as close to the airport as advertised but relatively easy to get to early in the morning. At the restaurant we had possibly the best fries rice we've eaten. Everyone at the hotel was very helpful and friendly (English language is not the best but it works anyhow). The road is a deadend and therefore not so much traffic in front of the hotel. The road is clean compared to the other ones around. The hotel is also very clean. The room we were in is a 3 bed room. It is the biggest they have, they said but could be bigger anyway. We stayed here for some time because we are settling work wise in to Yangon and we did not regret it. 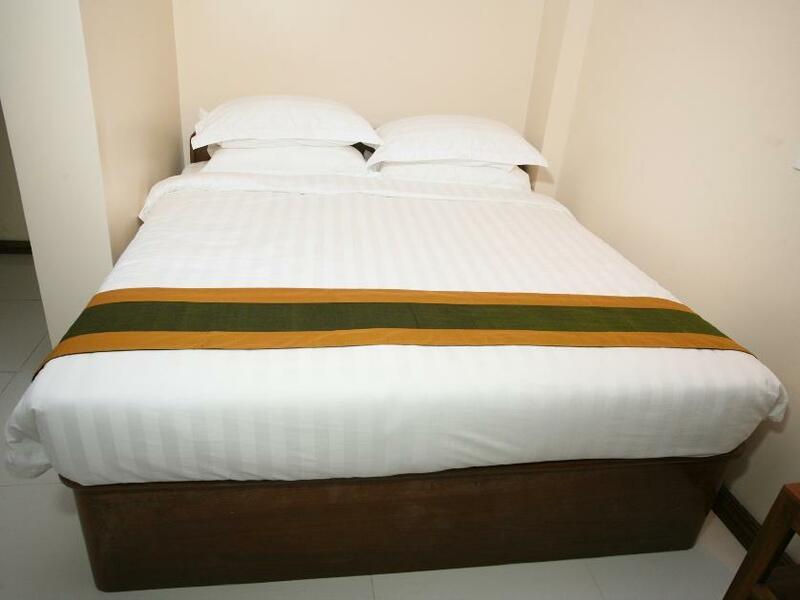 But we also know that hotel standards in Myanmar are not necessarily what you would expect in other places for the same price. 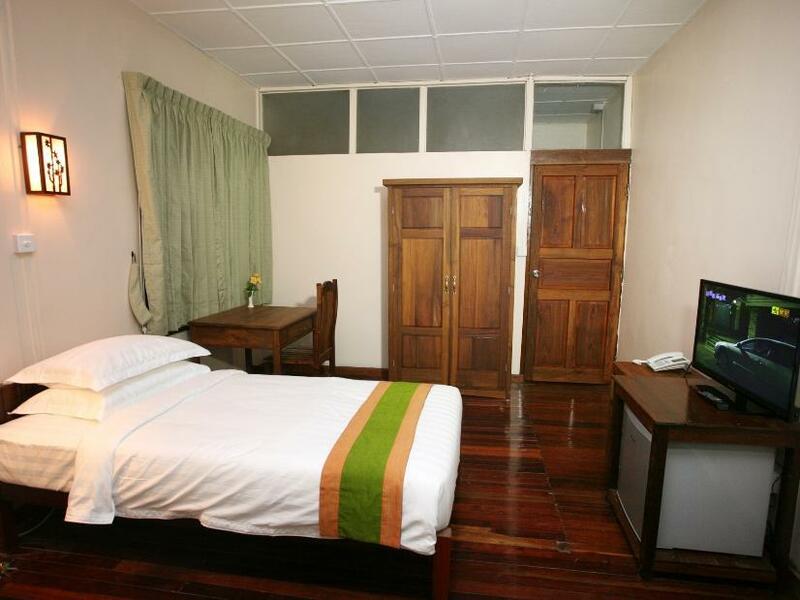 The best is the hotel is still quite new and internet works well for Myanmar circumstances. Though we just stayed here for one night, our experience was good and the staff was friendly and helpful. The restaurant of the hotel also served great food. Convenient for airport. Cheap and clean. Wasn't as good as the impression on the Agoda website. No choice of food and bar only had beer. Free Wi-fi and Internet access at room, nice breakfast and clean. When I check-in, got the room straight away and even free upgrade to Superior. Five min walk from busy main road but felt very quite and sleep well at night. The best thing is Free Wi-Fi, internet access inside the room, it is rare in Yangon. It looked new family run small business hotel. Bed is comfortable and water pressure is okay. I will stay again in next trip if facilities are the same. 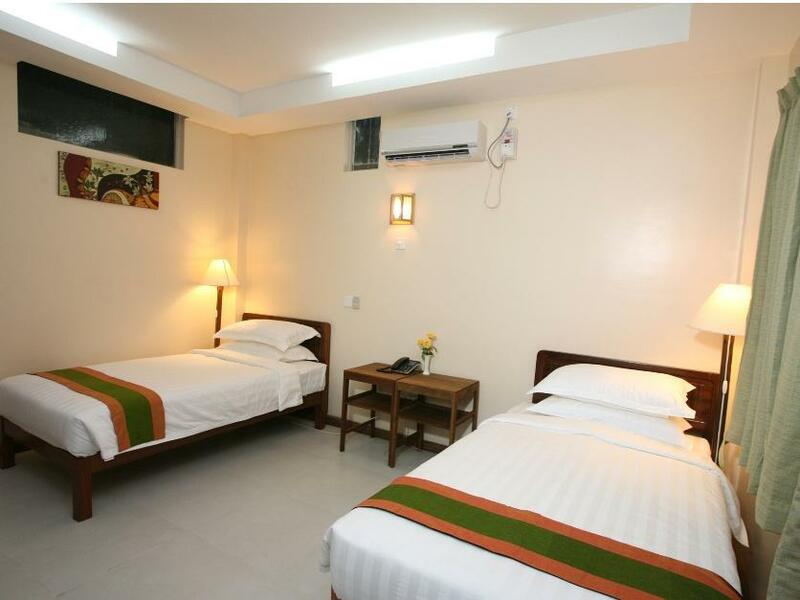 All reviews for Yangon hotels seem to be accurate, or maybe even too nice. Hotels are of quite bad quality, with a very high price tag. This one is the same. It's close to the airport, which is nice, and generally is acceptable. They tried to scam extra money for airport transfer (50% more than stated on agoda), and after a long debate (staff doesn't really speak English) they agreed to original rate.